Frustratingly fun little puzzle game. Is there a better alternative to tesl8? 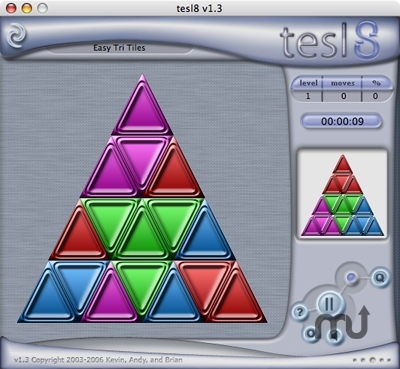 Is tesl8 really the best app in Puzzle category? Will tesl8 work good on macOS 10.13.4? 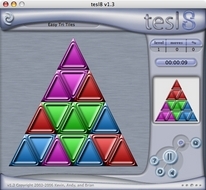 tesl8 is a frustratingly fun little puzzle game with twenty four challenging levels. The object is to unscramble the tiles to form the starting image or pattern. There are three different tile shapes (triangles, squares, and hexagon), each with four different sizes. Called "A fun game... Definitely a game worth picking up and taking a look at." by Omaha Sternberg, co-host of the Gamesome Mac. tesl8 needs a rating. Be the first to rate this app and get the discussion started!